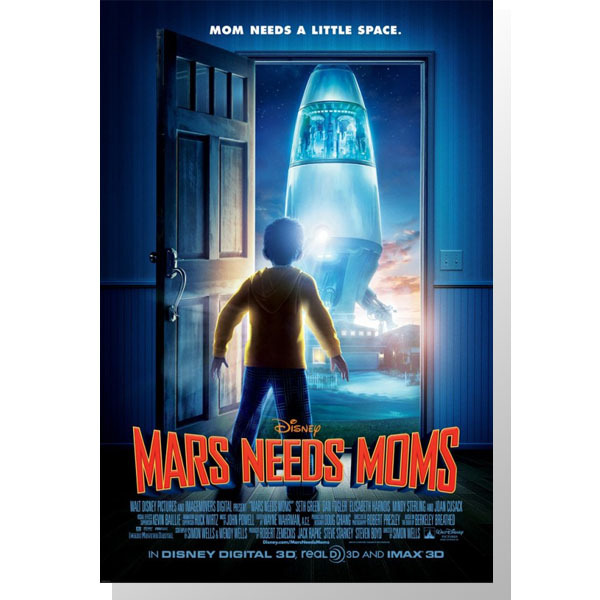 "Mars Needs Moms" is based on the book by Berkeley Breathed, directed by Simon Wells and scheduled for release March 11, 2011. Zemeckis was/is supposed to direct an adaptation of "Yellow Submarine" for the Mouse, but it appears that it's not going to happen according to David Tennant. Yellow Sub mocap not happening? If David is right, and it's gone away, that is quite a relief. But it could just be that David is just not involved. BTW, Paul O'Grady would do a good Blue Meanie. Mr Zameckis needs to go back to live action films, please. Just like Old Lucas is dead. Just like Old Spielberg is dead. Just like Old James Cameron is dead. Just like Old Ridley Scott is dead. These guys all got too successful for their own good and in the twilight of their careers forsake their ambitious creative imaginations with soulless technology. It's a shame that the deal with Zemeckis didn't work out. I like the idea of Disney partnering with top-tier filmmakers and innovators. But "Christmas Carol" was underwhelming and "Yellow Submarine" just sounded like a bad idea. I'm a big fan of Berkeley Breathed, so I hope they keep the style of his illustrations in the animation (like they did for Chris Van Allsburg and "Polar Express"). But it's not very clear from this poster alone. I must be living in a cave because I've never heard of this. From the poster, it sure intrigues me! Second - Zemeckis IS returning to live-action films. He's doing a film with Warner Bros. called TIMELESS.